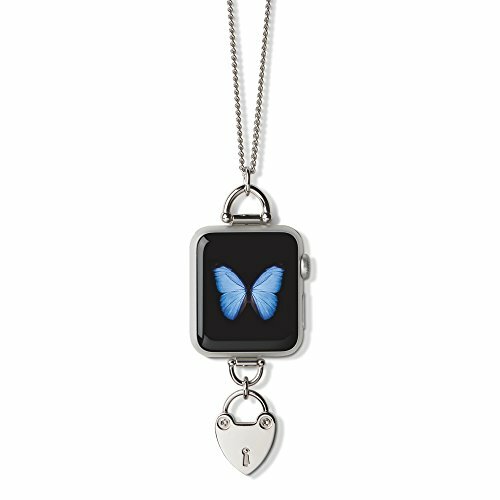 Transform your apple watch into a charm necklace. This Bucardo accessory fits into the band slots of the apple watch, simply slide your wrist bands out and slide your Bucardo accessory in. Enjoy and wear your apple watch in a different way. Constructed of the highest grade stainless steel, each accessory is stamped with Bucardo's signature hallmarks. Once you have purchased a complete necklace, you may customize your look with additional interchangeable charms, sold separately.